We provide Electro Magnetic (EM) Security Tags, used in a number of applications, and compatible with all Electro magnetic EAS systems. We provide these in a number of length options and a number of shapes. Light weight and easy to attach, they can be used on various objects. - Industry Tag is very small in size & made of ABS to meet all endurance requirements in terms of heat, harsh environments and chemical resistance. - Perform in the harshest environments, including harsh chemicals, painting processes & outdoor exposure. 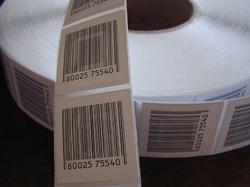 We are offering Soft and Hard Tags to our clients. We are manufacturer of RFID Jewellery Hard Tags. Product DescriptionRF MINI HARD TAG OFFERED BY TES BRAND ARE PREMIUM QUALITY SECURITY TAGS USED IN RETAIL SECURITY SYSTEM, IN GARMENTS SHOPS. RF MINI HARD TAG COMES WITH STEEL PIN. 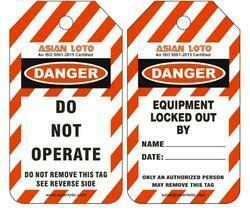 TES BRAND SQUARE MINI TAG COMES WITH STRONG PIN LOCKING CAPABILITIES NOT UNLOCKED BY ANY MAGNET.